i’m in a good mood today and not only because the weekend is almost here! but mostly because I get to treat you guys with some of my favorite beauty essentials. 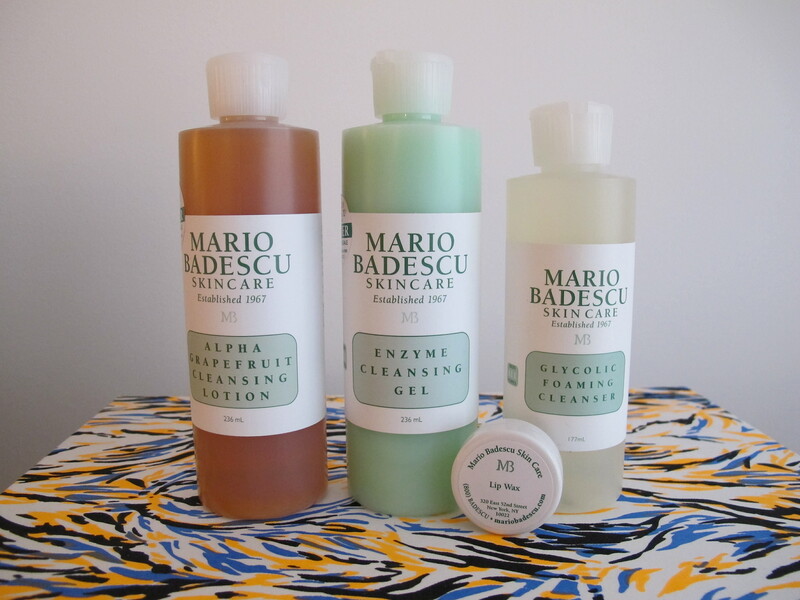 i’m a huge fan of mario badescu’s products and i use them every day. my rituals are very simple. the first thing i do before going to bed is washing my face in enzyme cleansing gel, followed by alpha grapefruit cleansing lotion and then I moisturize with cellufirm drops. that’s it! oh and one more thing approximately twice a week instead of using enzyme cleasing gel i replace it with glycolic foaming cleanser to exfoliate for a smoother and rinsed feeling. to top it all of i use lip wax to get beautiful and smooth lips – even better wear it before putting on your lipstick. i can highly recommend all of the above products and the some. still interested? all you have to do is find out where you can get your fingers in the products and leave a comment below with your answer. to get a hint check out www.beautyhero.dk. good luck! Congrats Caroline. I hope you’ll be happy with the products. Thanks to all who participated and the winner has been notified! De kan købes på beautyhero.dk og ellers forhandles produkterne hos Lala Berlin, Adélie, Aesthetica og By Malling & Jensen. Mario Badescu produkterne kan købes på Beautyhero.dk, Lala Berlin, Adelie, Aesthetica og By Malling & jensen. Yeah your cousin can win!! Good night, and good weekend! De kan købes på beautyhero.dk og forhandles bla hos Lala Berlin, Adélie, Aesthetica og By Malling & Jensen. I Danmark kan de købes på beautyhero.dk, hos Lala Berlin, Adélie, Aesthetica og By Malling & Jensen – ellers bl.a. på beautybay.com og shop.Nordstrom.com. De produkter lyder bare SÅ lækre. I'm dying to try them! Du kan for resten købe dem hos Adèlie, By Malling & Jensen, Lala Berlin og Aesthetica. HAPPY FRIDAY – WISH ME LUCK! Produkterne fås hos beautyhero.dk, Lala Berlin, Adelie, Malling&Jensen og Aesthetica. Og NØJ hvor jeg krydser fingre, kunne så godt bruge lidt pleje til den efterårsramte hud! De kan bla. købes på beautyhero.dk.